Over the last two decades, there’s been a growing faction of anarchists, libertarians, and freedom fighters aiming to change the world. They have become fed up with the sociopaths leading the world into never-ending conflicts and are tired of the central banks printing massive amounts of fiat, devaluing currencies, and causing hyperinflation. Then, after the 2008 economic crisis, a technological innovation called Bitcoin was born, allowing users a medium of exchange that couldn’t be censored. For the first time ever, a software-derived currency gained value, even though it wasn’t backed by a single individual, corporation or nation-state. Many people believe cryptocurrencies are meant to end the nation state’s and central bank’s rule over money. Back in the early days, on Bitcointalk.org and developer IRC channels, Satoshi and other developers discussed many ideas that revolved around removing central authorities. On Feb. 11, 2009, Satoshi posted to the Foundation for Peer to Peer Alternatives (P2P Foundation) introducing his software to the world. Within that specific post, the software’s creator explained that most commerce now relies on third parties and financial institutions that ultimately can’t be trusted. From this point on, not only did Satoshi’s idea change the entire way people had thought about money, but the entire concept of trusting a third party was turned upside down for those who listened. During Bitcoin’s infancy, there were no discussions of exchange-traded funds (ETF) backed by corporate entities like Cboe and Vaneck. Network fees were a penny or less for the network’s first few years and at that time anyone could send micro-transactions across the globe. But since then, BTC fees have fluctuated wildly, effectively censoring people in developing nations, from time to time, who can’t afford higher fees. This makes the network undesirable for remittances. How can BTC be censorship resistant if network fees censor more than half of the world? Long ago, no one cared about Wall Street deals from Bakkt and institutional money flocking towards bitcoin. Satoshi talked about privacy, Tor and I2P integration back then — not shaking hands with the devil. Most people talked about using bitcoin to remove central authorities in banking, content publishing, music, tipping, domain services using .bit, and literally anywhere they could think of on the open web. The malaise started in 2015 when blockchain hype jumped into light speed and more people began begging the state for cryptocurrency acceptance. Can you believe people ask permission from bureaucrats to use a permissionless currency? Instead of donating funds to Wikileaks, Antiwar, and other activists on the front lines, people now clap feverishly when they hear Goldman Sachs is contemplating a trading desk. My interview with Cody Wilson back in 2015. We have not yet realized that institutional money does not equate to mass adoption. For some odd reason, many people believe that once big money players jump in on bitcoin, the demand will skyrocket. They grow excited any time a financial incumbent enters the ‘blockchain space’, thinking that this lead to a significant network effect. These individuals seem to forget how small the financial elite is within this world, and they are forgetting or ignoring the massive amounts of people who could use a hard currency without a third party. One would think that mass adoption begins with the people who need it the most — the unbanked. Some people will recall that at one time the remittance industry was regarded as a prime sector for bitcoin to dominate, but nowadays cross-border payments are a distant memory. 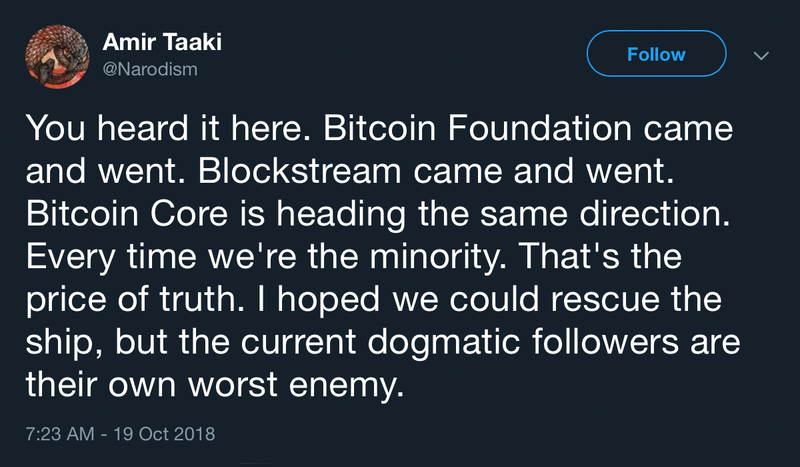 Anarchist Amir Taaki has been very vocal against the current thought leaders and dogmatic followers. There are certain thought leaders who are pushing a new agenda for Bitcoin technology. Many of these clowns disingenuously imply that the unbanked will be able to use bitcoin despite its high fees. Developers using sophistry act like meritocracy has elevated them to their positions. In fact, they’ve created a disgusting technocracy applauded by those prone to confirmation bias and circular logic. In the Bitcoin space ‘thought leaders’ have grown in number. Thankfully, they don’t seem to have anticipated the blowback they’ve instigated. 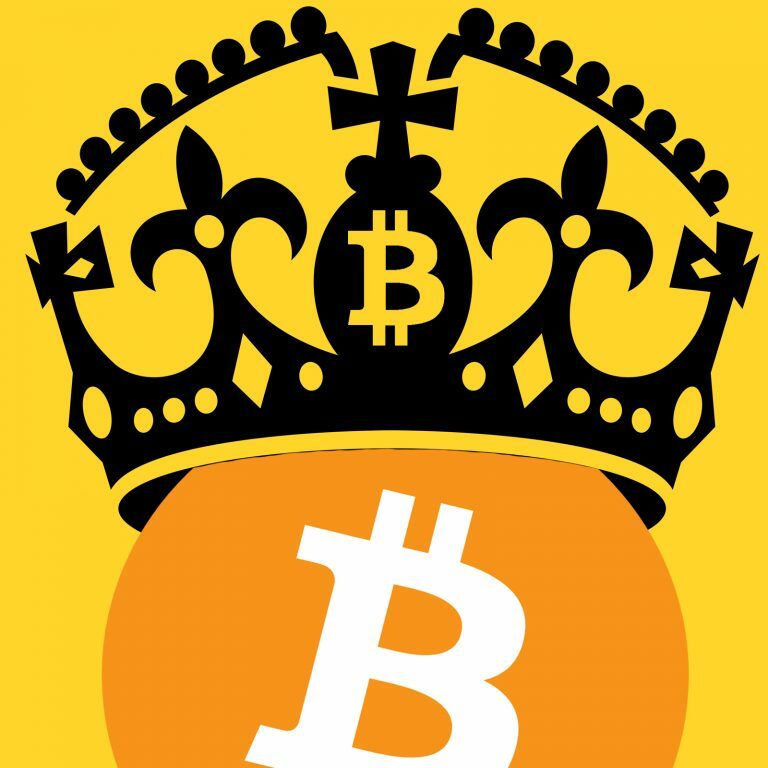 The cult of Bitcoin personalities is slowly losing power but it will take time to dissipate. Over the past year, after 2017’s absurd comments about high fees being good for settlement, these individuals have started to promote using fiat over bitcoin. People should start looking at the early days of Bitcoin again. They should re-read old forum posts and discussions concerning how it was once the goal to remove the world’s money from the state and central banks. Back then people followed a philosophy that aimed for consistent freedom, but the get-rich mentality and permission-seeking mindset has proven pernicious. As John Lennon once said, it’s easy to become the status quo when you are entrenched in trying to replace them. Bitcoin deserves better. What do you think about the original philosophy of the early adopters and cypherpunks being replaced by visions of joining the status quo? Let us know what you think about this subject in the comment section below. Images via Shutterstock, Twitter, Banksy, and Pixabay. 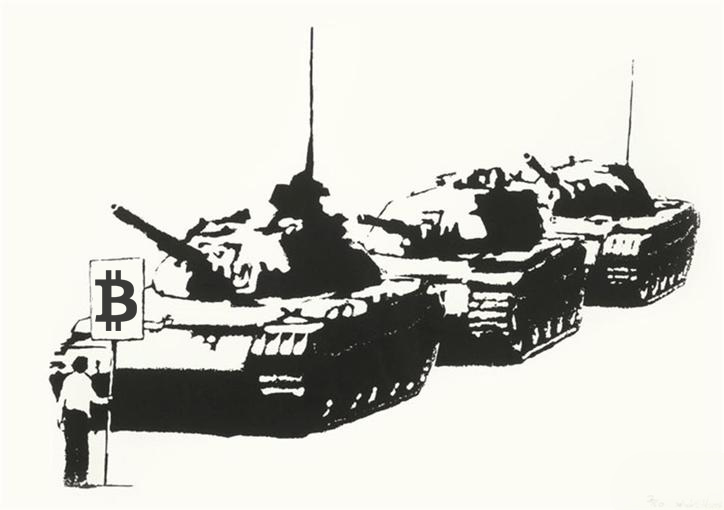 The post Bitcoin Intentions: Are We Aiming to Replace the Status Quo or Become Them? 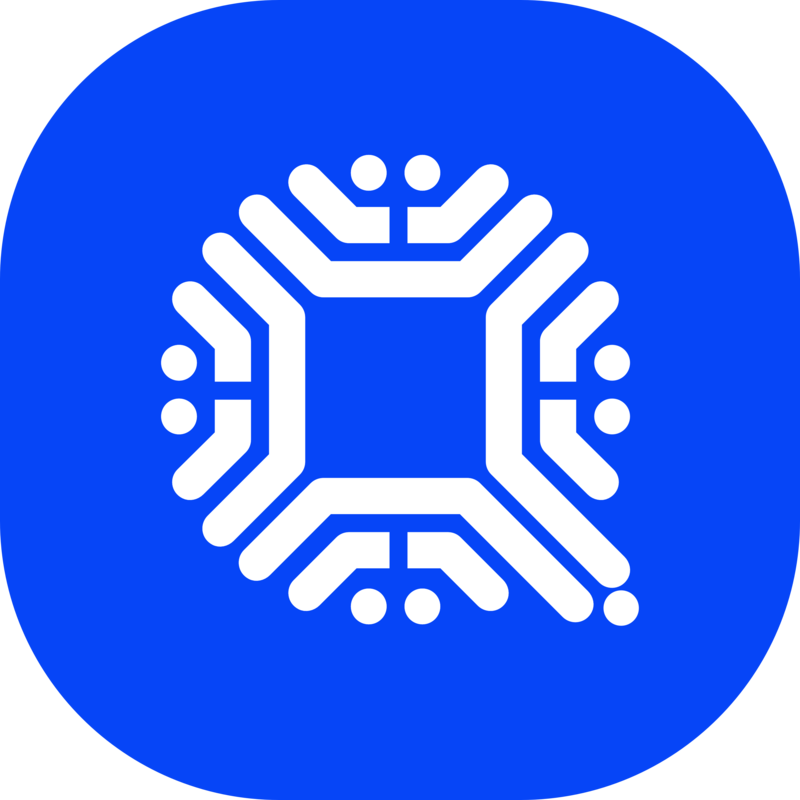 appeared first on Bitcoin News.